Halloween is our favorite holiday of the year and some of my favorite cartoons growing up are still part of our family’s Halloween traditions today. This year is the 50th anniversary of the Charlie Brown Christmas Special and 2016 is the 50th anniversary of the Great Pumpkin. For us, the holidays haven’t officially started until we watch these classics together. Around July, just as we were hand pollinating our pumpkins, we decided to celebrate October as our favorite Halloween icons. Each of us have been attracted to certain characters due to our appearance and/or personalities. We spent three weeks online shopping for costumes, but unfortunately we did not see what we were looking for. As a result, we decided to build them from scratch to capture the essence and magic of these lovable characters. We wanted to create masks that allowed us to breathe easily, see easily and hear. Other masks purchased in the past have been almost impossible to wear and still breathe. Most required a lot of assistance to walk without knocking things over or stepping on kids. 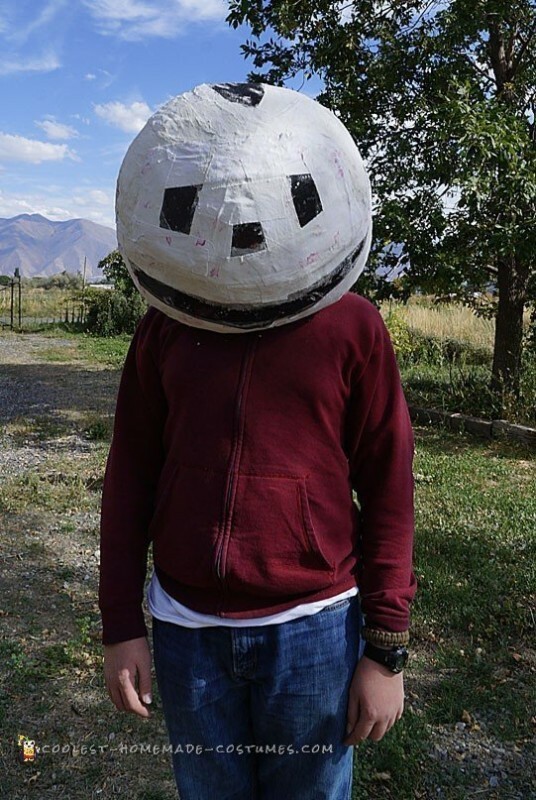 In designing these masks, we created over-sized eyes and mouths to maximize our ability to safely navigate in dark conditions with lots of little kids around. Over the years, I don’t recall seeing any complete Charlie Brown Costumes in our area. In addition, we wanted to take it beyond simply dressing up as the Peanuts gang. We also wanted to portray some of the characters as they dressed up for Halloween. Lastly, we tried to create costumes with the same feeling as the holiday specials. In October, we discovered the new Peanuts Movie and slightly adjusted some of the costumes based on the characters as shown on the movie website. 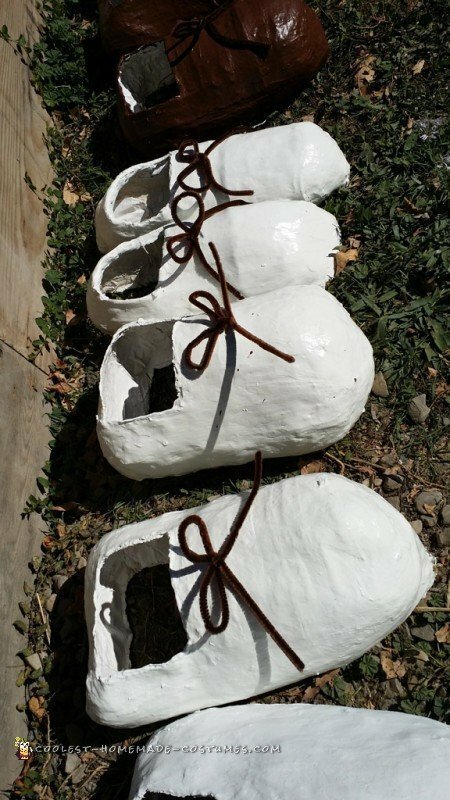 None of us had experience with paper mache so we spent a fair amount of time online learning about the art and techniques to form the heads and shoes. Little did we know how challenging it would be. We purchased two beach ball sizes-18 inches and 24 inches. 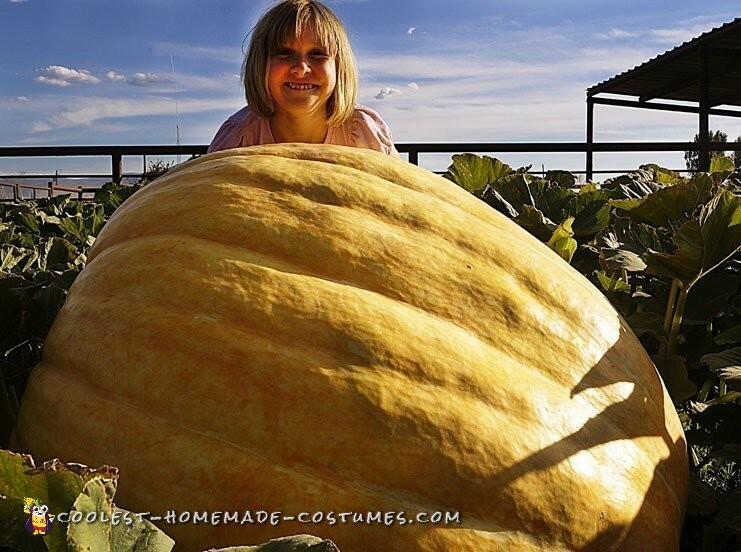 My daughter is younger and smaller than the rest of our family and the larger size was too heavy and big for her to wear. The smaller ball size was very uncomfortable for anyone else to use. Faces were drawn on the Beach Balls using proportions we saw on the comics and costumes used at Knott’s Berry Farm. We then coated the balls with petroleum jelly to minimize sticking. Two teaspoons of distilled white vinegar. Half a cup of DAP Plaster of Paris. Half a cup Elmer’s Glue-All (or other PVA Glue). The batch size was large enough to lay down several dozen strips of muslin before things started to harden in my mixing container. 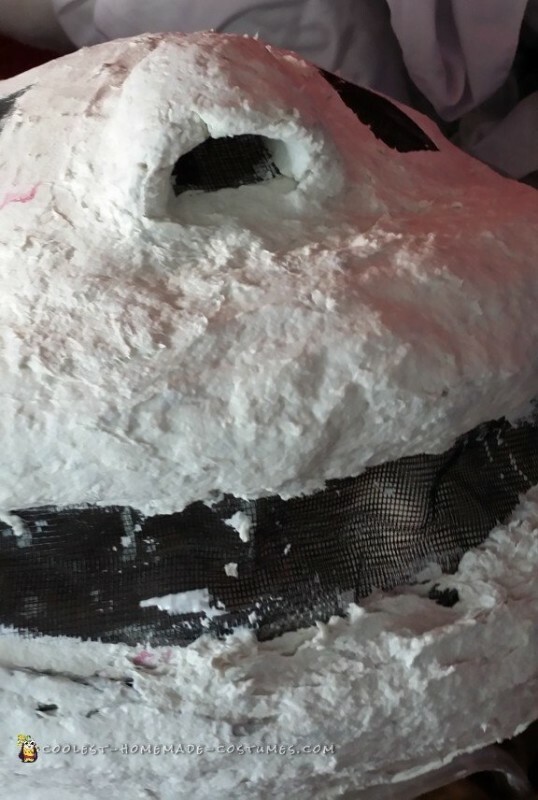 We formed three layers of this around the ball-nesting the screen material for the eyes, ears, nose and mouth between the last two layers. Each layer had to dry approximately a day before the next layer could be added. Trying to rush the process created problems as the structure would collapse under it’s own weight. A fourth cup cheap toilet paper (measure the wet paper pulp after squeezing out excess water and use one fourth cups). One cup joint compound. (We used a reduced weight product to keep the masks lighter). ¾ cup Elmer’s Glue-All (PVA type Glue). Half a cup white flour. One teaspoon bleach to prevent mold growth. 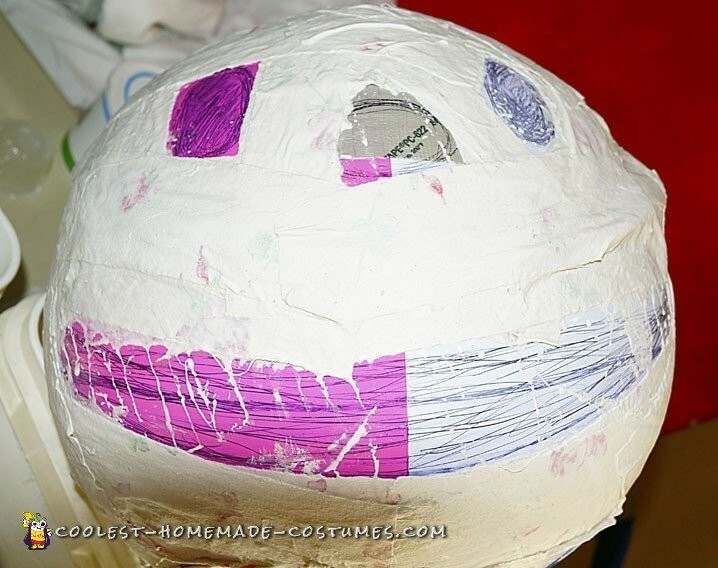 We formed the paper mache clay around strips of muslin material and then secured it to the paper mache ball that was formed earlier. Trying to shape wet toilet paper was challenging. It would droop and fall apart often. We eventually adjusted the recipe slightly to decrease the toilet paper to one cup and add a fourth cup of DAP Plaster of Paris. It helped, but I do not think it was a perfect solution. Half a cup Elmer’s Glue-All (PVA Glue). After the Gesso Dried, we covered it with another layer of Gesso then sealed it with KILZ sealer and Primer. This was followed with glossy latex paint we found on sale at Home Depot. It was mismatched for someone’s project, but it worked great for ours. Lucy and Sally’s hair was created with fake fur purchased the fabric store. Sally’s hair had to be dyed yellow with a temporary dye and washed lightly to get the right color. Sally and Lucy’s hair was styled using gel and hairspray. We painted the lines on Charlie Brown and Linus’s shirts using black paint or magic markers. We had to carefully separate the front and back of the shirt with a board to prevent paint from bleeding through to the other side. We also had to paint the black polka dots on Sally’s dress and hair ribbon. 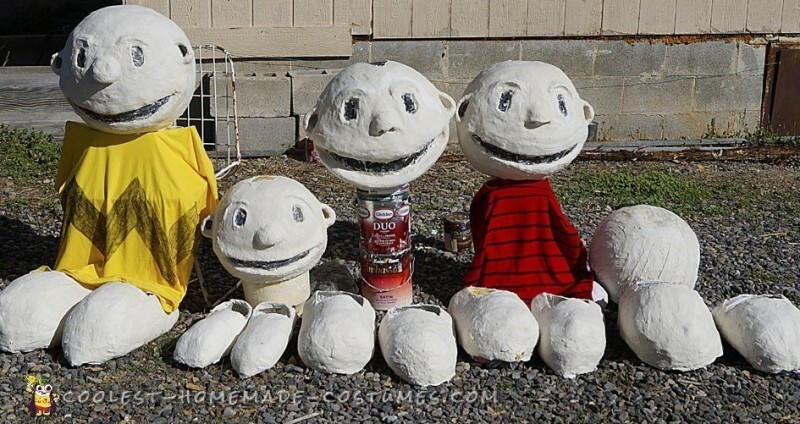 We purchased some cheap white bed sheets at a Thrift store to create the ghost costumes for each of the characters We cut out eyes on each ghost and painted extra eyes on Charlie Brown’s for better visibility at a distance. 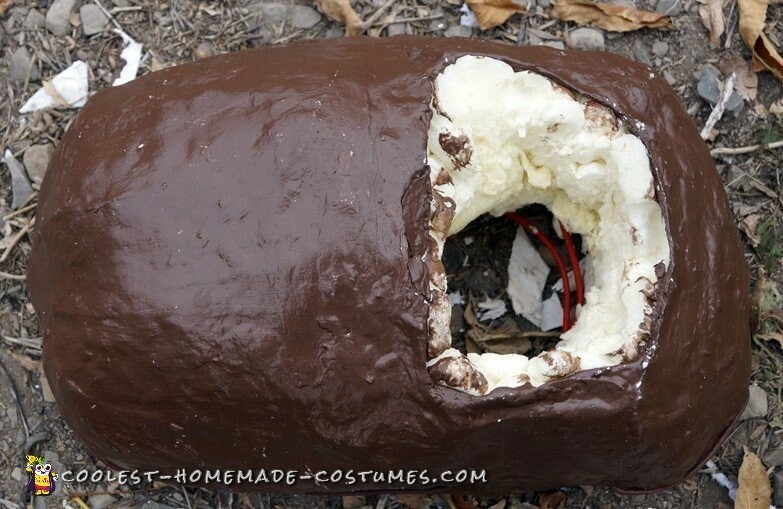 To complete the illusion from head to toe, we created over-sized shoes with paper mache formed around stuffed bread and hot dog bags, following the same recipes above. We learned that walking with these shoes was very difficult unless we raised them slightly above our normal walking shoes . We secured them to our regular shoes with para cord. We sprayed foam insulation inside the shoes and carved excess out as we formed them around our regular shoes. Charlie Brown’s iconic grocery bag full of rocks was set up to get a few laughs on stage. A slight pull of a cord would drop the rocks inside the bag to the stage floor. Black felt was also pasted to the back of his head to match the pumpkin pattern that he modeled for at the Halloween Party. Kids would come up to us to give us hugs, a high-five or shake our hands, One four year old wanted to adopt us and a six year old told us that we are his favorite toys. Another scolded Lucy for being the “mean one” all the time. Our biggest Halloween surprise was meeting the Charles M. Schulz Family at the Thanksgiving Point Megaplex Theaters. We had no idea they would be there, but we had an opportunity to visit with them just before they flew to Los Angeles for the Peanuts Movie world premiere. Snoopy was to get his paw print on the walk of fame after the premiere. We had pictures taken with them, but more interesting was they wanted to have their pictures taken with us. The grand kids of Charles Schulz wanted to wear one of the masks and have photos taken of them wearing them. We talked about the new movie and the legacy Charles M. Schulz left for families worldwide. We participated in several costume contests and won almost every contest we entered. Judges told us that our costumes had a very different feeling about them than others in the contest, which set us above the competition. At the end of the season, winning or losing the contests did not matter much this year. We won in so many ways that I never anticipated. I learned that I could do something I never tried before. Creative arts have always been a challenge for me and this opportunity helped to change my attitude towards this kind of work. I was reminded to not be intimidated to try new things and not give up when things get challenging. We also had the opportunity to meet with the Schulz family, see them smile and approve our costume building efforts. A recent death in their family along with pressing upcoming events were taking their toll on some family members. It was nice that we could bring a smile to them when they were dealing with the stress. Deep rooted is our hope to bring a smile to others we meet and make them happy. It is also our hope to continue wearing these masks beyond Halloween and throughout the year. As we approach Christmas, we will find a full sized “Charlie Brown Christmas Tree” and visit kids at nearby Hospitals. We want to give them something to smile about and forget their daily battles for even just a few minutes.